Computer simulations of the early solar system suggest the possibility that our system had more than four giant planets initially and that one was ejected as the solar system settled into its current form. 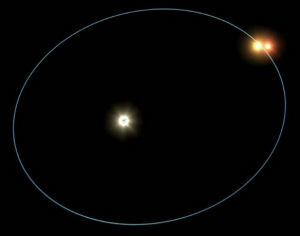 Dr. David Nesvorny’s hypothesis, published in The Astrophysical Journal Letters, depicts the early solar system as a chaotic place, with planets and moons buffeting each other in wildly unstable orbits. “We have all sorts of clues about the early evolution of the solar system,” says Nesvorny, of the Southwest Research Institute. “They come from the analysis of the trans-Neptunian population of small bodies known as the Kuiper Belt, and from the lunar cratering record.” These suggest that the orbits of the giant planets were affected by a dynamical instability when the solar system was only about 600 million years old. As a result, the giant planets and smaller bodies scattered away from each other. Some small bodies moved into the Kuiper Belt and others traveled inward, producing impacts on the terrestrial planets and the Moon. The giant planets moved as well. Jupiter, for example, scattered most small bodies outward and moved inward. But this scenario presents a problem. Slow changes in Jupiter’s orbit, such as the ones expected from interaction with small bodies, would have conveyed too much momentum to the orbits of the terrestrial planets, stirring up or disrupting the inner solar system and possibly causing the Earth to collide with Mars or Venus. “Colleagues suggested a clever way around this problem,” says Nesvorny. “They proposed that Jupiter’s orbit quickly changed when Jupiter scattered off of Uranus or Neptune during the dynamical instability in the outer solar system.” The “jumping-Jupiter” theory, as it is known, is less harmful to the inner solar system, because the orbital coupling between the terrestrial planets and Jupiter is weak if Jupiter jumps. Nesvorny conducted thousands of computer simulations of the early solar system to test the jumping-Jupiter theory. He found that, as hoped for, Jupiter did in fact jump by scattering from Uranus or Neptune. 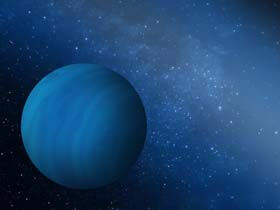 When it jumped, however, Uranus or Neptune was knocked out of the solar system. “Something was clearly wrong,” he says. Nesvorny then considered whether the early solar system could have had five giant planets instead of four. By running the simulations with an additional giant planet with mass similar to that of Uranus or Neptune, things suddenly fell into place. One planet was ejected from the solar system by Jupiter, leaving four giant planets behind, and Jupiter jumped, leaving the terrestrial planets undisturbed. 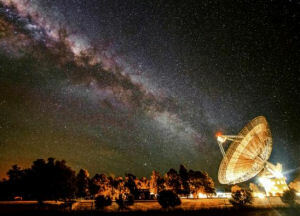 “The possibility that the solar system had more than four giant planets initially, and ejected some, appears to be conceivable in view of the recent discovery of a large number of free-floating planets in interstellar space, indicating the planet ejection process could be a common occurrence,” he concluded.